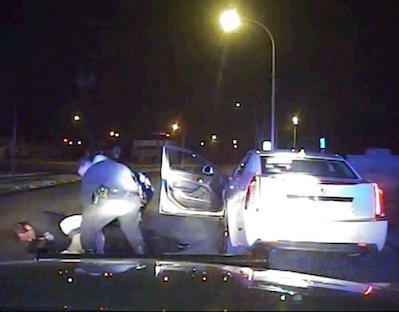 As a Michigan DUI lawyer, one of my first responsibilities in a drinking and driving case is to investigate the facts, and that almost always means obtaining a copy of the police-car video. This can be a critical piece of evidence, and sometimes a careful examination of the video leads to a challenge of the evidence, which, in turn, can result in beating the case. Other times, while the video may not be enough to have a Judge decide to throw the whole DUI case out of court, much can be learned from it and used to drive a successful or perhaps otherwise unobtainable plea bargain. Even if the video merely confirms the legality of the stop and investigation, there is some comfort, albeit what we call “cold comfort,” in just knowing that. Beyond the police car video, it is sometimes helpful and/or necessary to obtain video from in the police station. For example, the law requires that before a person takes the breathalyzer test at the police station, he or she must be observed for 15 minutes. The purpose of this observation period is to make sure the person didn’t put anything in his or her mouth or regurgitate. A colleague of mine recently handled a case where the police station video showed that his client was allowed to use a regular bathroom, and then, only a few minutes later (less than 15, obviously) was given the breath test. Although the police had been “nice” in allowing his client to use a more private bathroom, he was able to show the Judge that the 15-minute observation period hadn’t been properly observed, and the breath test results were ruled inadmissible. I often make a point of saying that DUI charges don’t dismiss themselves. If you are facing a DUI and there is some way out of it, that will only be discovered by a lawyer who knows what to look for. There will never come a time when the police notify a DUI driver of some defect in their handling or investigation of the case. If anything, this points to the importance of hiring a “DUI lawyer” rather than just some lawyer who claims he or she “does” DUI cases. About the worst mistake someone can make is having a friend or a family friend who is not a DUI lawyer “handle” a drunk driving charge. Similarly, what may sound like a real “deal” on the legal fees will never turn out to be a good deal when the lawyer is presented with a mountain of tedious work. Another theme I repeat like a broken record is that the low bidder, bargain lawyer has to cut services to offer the cut-rate price. This does NOT mean that the more you pay, to excess, the better, but rather that cheap is cheap, and when something as important as your future and your record is on the line, it’s hardly the time to skimp. As with any significant decision you will make, do your homework! That being said, the only way to properly handle a case is to assume there is a way to beat it, and look for the way out. Every piece of the evidence must be carefully examined. As I often tell my clients during our first meeting, the irony of all this is that more often than not, it is in the case for the polite and quiet client where I find some issue in the evidence, as opposed to the more vocal type who wants to tell everyone who will listed exactly what the police did wrong. The takeaway here, of course is that we’ll never know unless we look, and that it’s foolish to not look. If you are facing a DUI charge, the only way to know the best result will be reached is to know that every angle and aspect of your case has been thoroughly examined. In the real world, of all the things that can be examined, video is almost always the best. Everyone loves video. Even if the video only corroborates the evidence against you, the knowledge that you didn’t miss anything, or are otherwise not being “sold out” provides a certain peace of mind that you’ll never get if you are left to always wonder. If you have been charged with a drinking and driving offense in the Detroit-area (meaning anywhere in Macomb, Oakland or Wayne County) and are looking to hire a DUI lawyer, do your homework: Read the articles, like this, that your candidates for hire have written, and always pick up the phone and call with your questions or concerns. You can reach my office anytime Monday through Friday, during regular business hours (8:30 a.m. until 5:00 p.m.) at 586-465-1980.